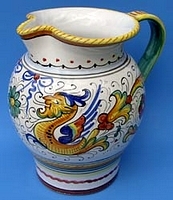 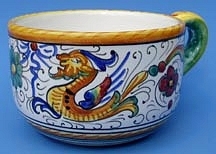 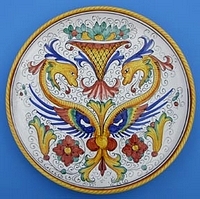 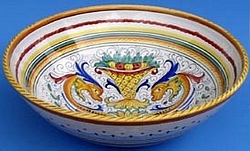 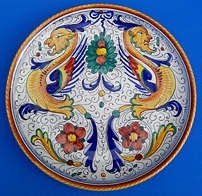 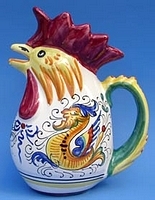 The classic Raffaellesco Italian Ceramic pattern is one of the oldest, most traditional and one of the most known patterns from Deruta, Italy and is characterized by the image of a "dragon". 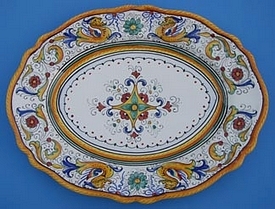 This pattern originated from the frescoes created in the Vatican by the famous artist Raphael during the Italian Renaissance. 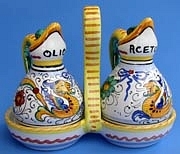 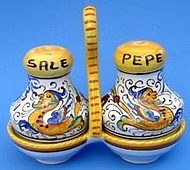 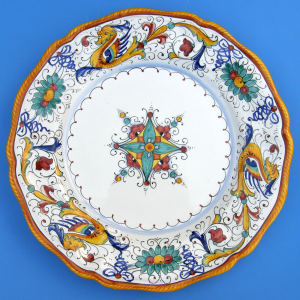 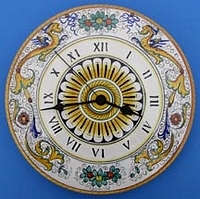 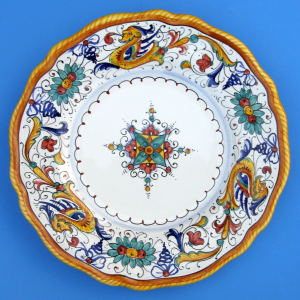 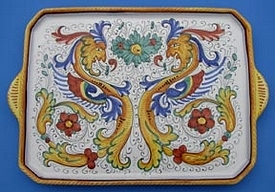 All our Raffaellesco ceramics are hand painted and directly imported from Deruta, Italy by our company. 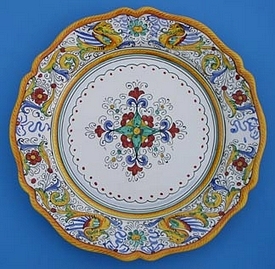 Shop & compare our beautiful artisan Raffaellesco ceramics. 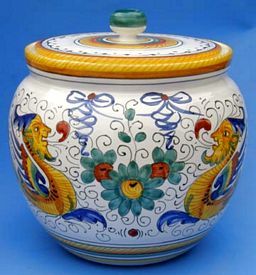 Also Great for Ice Cream or Soup! 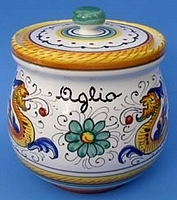 Also perfect for dip, relish, soup, salad or ice cream!